Saudi Arabian Crown Prince Mohammed bin Salman backed the extension of OPEC production cuts beyond March 2018, making it all but certain the cartel and its allies will roll over the curbs at a meeting next month. The prince, who’s become the kingdom’s dominant political force, said in an interview with Bloomberg News that "of course" he wanted to extend the cuts into 2018. "We need to continue stabilizing the market," he said. Until now, Saudi officials have signaled they favored prolonging the cuts, but stopped short of making a formal commitment, saying all options were still open. Oil erased losses on Prince Mohammed’s comments, with West Texas Intermediate crude little changed at $52.17 a barrel at 10:26 a.m. in London after having earlier dropped as much as 0.4 percent. His comments, weeks after Russian President Vladimir Putin also gave provisional backing to an extension, signal that Riyadh and Moscow are ready to prolong their collaboration to reduce oil supply and lift energy prices. If confirmed at OPEC’s meeting next month, the extension may boost oil prices, improving the fortunes of the global energy industry and oil-dependent countries from Nigeria to Brazil. For Prince Mohammed, who replaced his cousin earlier this year as heir to the throne, higher prices will help revive economic growth in Saudi Arabia and eventually feed through to the initial public offering of the country’s state-owned oil giant, Saudi Aramco. The 32-year-old royal said Aramco will IPO in 2018, most likely in the second half. 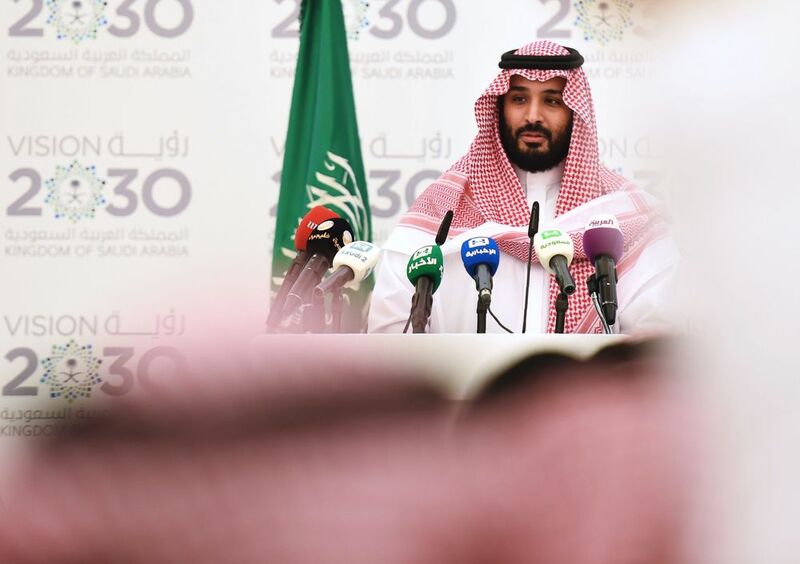 "We are on the right track," he said, repeating the same formula Saudi officials have been using for weeks to counter talk of a potential delay. "We don’t have any problems, we have a lot of work and a lot of decisions and there are a lot of things that will be announced," he added. The Aramco IPO is the cornerstone of Vision 2030, a much wider plan conceived to reshape the Saudi economy and diminish its dependence on oil. Tadawul, Saudi Arabia’s stock exchange, hopes to be the sole venue for the Aramco listing, Chief Executive Officer Khalid Al Hussan said at a conference in Riyadh on Thursday. The company is still considering locations for the listing, with London and New York vying for a major role alongside Hong Kong, Singapore, Tokyo and Toronto. Prince Mohammed said that extending the cuts would bring benefits for both OPEC and non-OPEC producers. "Everyone is benefiting," he said. "It’s the first time we have an OPEC and non-OPEC deal in stabilizing the oil market," he added, speaking as the country welcomed a who’s who of global finance in a meeting in Riyadh many participants dubbed "Davos in the Desert." Putin said earlier this month in Moscow that if OPEC and its allies decided to extend the cuts, they should do it until the end of next year. OPEC Secretary-General Mohammad Barkindo said last week that statement is the basis for talks ahead of next month’s meeting, led by Russian Energy Minister Alexander Novak and his Saudi counterpart Khalid Al-Falih. OPEC and a coalition of non-OPEC nations, led by Russia, agreed a year ago to reduce production by 1.8 million barrels a day -- roughly equal to the consumption of France. The deal, personally negotiated by Prince Mohammed and President Putin, was the first Saudi-Russia collaboration in oil in a decade, marking a turn in the frosty relationship between the two nations. 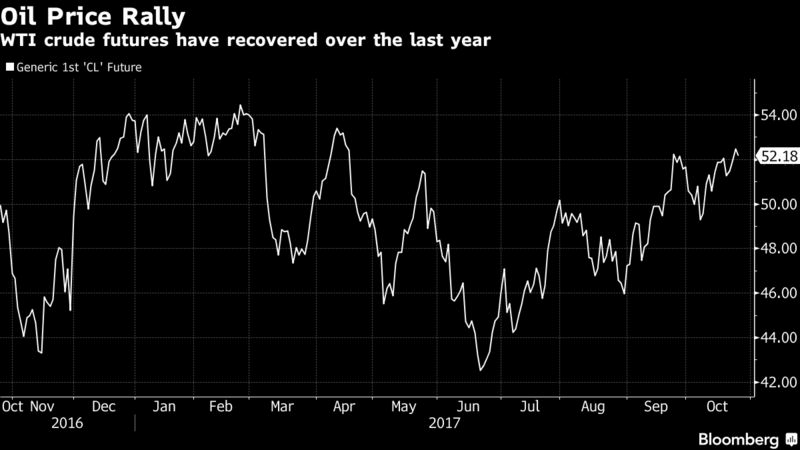 The 24 oil-producing nations that participated in the cuts initially intended to reduce output for six months starting in January, but the supply glut that has weighed on prices since late 2014 has ebbed more slowly than expected. As a result, the group agreed to roll over the cuts in June for another nine months, until the end of March 2018. While oil prices have risen, with international benchmark Brent near $60 a barrel as the physical market has improved, traders and analysts are still painting a cautious outlook for next year due to forecasts for rising output from the U.S., Brazil and Kazakhstan. Yet, Prince Mohammed gave a rosier view of the oil market, suggesting he believes higher prices are coming.